Final Responsibility Of Partition? Whose? A Brief Analysis! 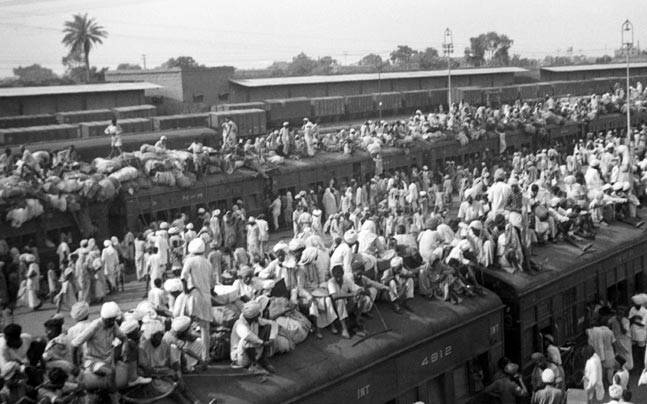 Even after seventy years of Partition, the discourse as to who, Jinnah or Nehru, Indian Muslim League or Indian National Congress, was responsible for division of the Indian subcontinent. There are divergent views. Some blame Muslim League, some Congress while others both. Every one of these views has some arguments to put before us. From Congress point of view, since they represented all Indians, irrespective of caste, creed & colour, including Muslims, there was no need for Muslims to form & have a separate political body called Muslim League. It is true that some Muslims like M A Azad, R A Kidwai, Dr.Zakir Hussain , NC’s Sheikh Abdullah & others were in the kitty of Congress, and who opposed Muslim League & its “communal” politics, as yet, we know they were almost “vioceless” or “powerless” in Congress to effectively defend the interests of the Muslims in future Independent India. Even after 70 years of India’s independence, economical, educational, socio-political conditions of Indian Muslims are till date much worse than those of the low caste Hindu Dalits, even. (Rajinder Sachar Commission Report of 2006 ). What those Muslim Congressmen have secured & guaranteed for the Indian Muslims is a million dollar question that needs an honest & unbiased answer on ground realities subsisting in Indian society via a visthis most targeted & subjugated [minority] community. Present socio-political scenario of India is undeniably very grim & disturbing for them. The pro-congress [Muslim] men naively think that had partition not taken place, Muslims would have been in great numbers in undivided India & so, they could have secured better their interests. This argument is against record, statistics & logic. It is a cosmetic argument advanced on a fallacy that what was denied before partition in presence of Britishers could have been achievable in situation absolutely dominated by Hindus. Hypothetically, if Pakistan, India & Bangladesh had continued as one political entity, still, as on date, the population ratio would have been 1150 million Hindus: 550 million Muslims. In a highly communally charged country like India, without safeguarding the rights of Muslims who were the worst target of the communal frenzies, since long, in future Constitution, any blind trust in majority would have & has proven disastrous for the Muslim community. (Ref Saeed Naqvi’s interview by Karan Thapur of India Today on 02-07-2016 where he says Muslims were fooled). Democratic set up of future Undivided India that was being chased & pursued by Indians through Muslim League or IN Congress or jointly inherently meant majoritarian rule. So this argument of pro-Congress [Muslims] is just self-pleasing. Second view taken by some historian of the recent past that both the parties were in a way responsible for division of the country are hugely overridden by mutually decades’ old agreeing–disagreeing, trusting-mistrusting-political history of both the parties, that they think led to division of the country. So, they put blame on both. Here what they miss is the fact that though history is truly shaped by a chain of events, as yet, ultimately, it is the decisive stage of history of a political struggle that matters & freezes the events & writes Future in the annals of the history. That is what happened. It is exactly here that third view that Congress was responsible for the partition gains credence. This view is augmented by impartial & unbiased research of some historians & authors of high reputation. “ On 10 July, 1946, Jawaharlal held a Press Conference in Bombay in which he made a statement which in normal circumstances might have passed almost unnoticed, but in the existing atmosphere of suspicion and hatred, set in train a most unfortunate series of consequences. Some Press representatives asked him whether with the passing of the Resolution by AICC the Congress had accepted the Plan in toto, including the composition of the interim Government. Jawaharlal stated in reply that Congress would enter the Constituent Assembly ‘completely unfettered by agreements and free to meet all situations as they arise.’ Press representatives further asked if this meant that the Cabinet Mission Plan could be modified. Jawaharlal replied emphatically that the Congress had agreed only to participate in the Constituent Assembly and regarded itself free to change or modify the Cabinet Mission Plan as it thought best. I must place on record that Jawaharlal’s statement was wrong. It was not correct to say that Congress was free to modify the Plan as it pleased. We had in fact agreed that the Central Government would be federal“…… (India Wins Freedom, page 124, emphasis applied). But here one may ask why didn’t Mawlana Abul Kalam Azad resign from the party when there was a complete u-turn taken by his political successor, Nehru, on party’s earlier agreed & declared stand on Cabinet Mission Plan? Jinnah after Congress had backtracked on its agreed Cabinet Mission Plan with ML said: if they (Congress) can backtrack on agreements and promises when British are still in India what guarantee is there that they would not repeat it once British leave the country and they will be overwhelmingly dominant party in the Constituent Assembly, legislature and executive. Present socio-political scenario of India to a great extent endorses Jinnah’s statement. “The call for partition was a bargaining ploy or what Jaswant Singh calls “tactics” , (Jinnah, India Partition & Independence, Jaswant Singh, page 276) whereby M A Jinnah wanted to strike a better deal for Muslims in a United India. But partnership with Muslims would have made it impossible for the Congress to get what Mawlana Abul Kalam Azad described as “unadulterated Hindu Raj” (India Wins Freedom, page 124) . Partition , in a way, was the gift the Congress gave to the Hindu Right, which in the fullness of time, is toady’s HINDUTVA”…. (Saeed Naqvi, Being the other : Muslim in India (2016) page 58). “ It was Nehru who insisted on “blindly” following “British practice and procedure” in India’s plural society by refusing to recognize the need for safeguards for minorities, especially the Muslims’. He said that Safeguards [for example, reserved seats for Muslims] and weightages [allocating a higher proportion of legislative seats than a minority’s share of the population] were not needed; Indian citizens, regardless of their religion or caste, would have constitutionally guaranteed uniform rights and that was good enough. Such questions draw their meaning and urgency from the existence and concerns of India’s religious and social minorities, “minorities” who “feel endangered by the monopoly sovereignty claims of the Congress’ majoritarianism”. (Jinnah, India Partition & Independence, Jaswant Singh, pages 164-165; affirming A G Noorani). Jinnah was ready to abolish the plan of partition for better representation of Muslims in government formation & framing of the future Constitution of India which Nehru denied and thus Jinnah was forced to go for separate State for Muslims. (Dr. Asrar Ahmad). The argument that Nehru assured him that the things will be settled in the Constituent Assembly is again flawed because in the Constituent Assembly there were 73 Muslim members against 233 Hindu members & many of those Muslim representatives owed allegiance to the Congress & how could it be expected that they would support Muslim League in the Constituent Assembly? Muslim League called those Congress members as “agents of Hindus”. It was exactly here that Muslim League wanted certain pre-assurance from the Congress in the formation of the Interim Government, framing of the Constitution & securing rights of not only Muslims but of Sikhs, Christians & Dalits. Congress rejected the argument that Dalits & Sikhs were part of Hindu Samaj. Jinnah was a practicing lawyer of great eminence. He knew pros & cons of going inside a United Constituent Assembly & Interim Government without addressing on its concerns about Muslim community’s rights. He wanted parity so that rights of Muslims were secured in Future Constitution of India because he knew that democracy means majoritarianism where minority rights could be easily trampled upon by majority vote. He wanted Constitutional guarantees of the rights of the Muslims. Congress was adamant that since it was secular with [some] Muslim leaders on its side, it would itself take their care & safeguard their rights. It considered Muslim League only a communal organisation, the theory that was adopted by Kashmir’s Sheikh Abdullah too in his political organisation called NC. Had Congress shown magnanimity & its leaders especially Nehru been truly honest in his secular claims, he should have had no difficulty to assure Muslim League that Muslim Community’s rights would be “equally” safeguarded in future Constitutional Democracy of India. Note: Views expressed are personal & not of the organisation the author works for. Aslam doesn’t allocate a jot of responsibility for partition to the British who since 1939 were in cahoots with Jinnah to set up Pakistan that would ensure British military interests, acting as a bulwark against Russia and a door to the ME in north-west India, were protected. It is common knowledge here in Britain that Partition was the “farewell kick” of the Colonists,(British),against the upstarts that wanted their own freedom. This way the ‘devils” knew that by doing so they would ignite a fire that would burn “eternally”.